The most northern city of Serbia, Subotica is far about 15 km from the border with Hungary and 180 km from the capital Belgrade. It is crossed by the European E75, the highway which goes from Greece to the extreme north of Europe. 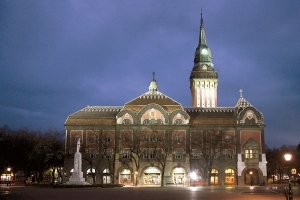 The Free Zone of Subotica was founded in 1996 and its strategic position has made it one of the most important centers of manufacturing in the entire Balkans. The Free Zone includes approximately 15,000 m² for production plants, 20,000 for deposits and other 300 for commercial buildings. Within the Free Zone many activities are permitted, including the manufacturing, storage, packaging of goods, banking, finance and insurance. All area is served by transport agencies, shipping, loading and unloading, banks and government offices.